Shareholder voting is dominated by institutional investors. The SEC requires institutional investors to vote on corporate proxy matters but allows them to discharge this duty by relying on the voting guidelines of third-party proxy advisory firms. Proxy advisory companies have come under increasing scrutiny and criticism in recent years. This report seeks to inform current reform efforts with a review of the best empirical evidence on these firms. Proxy advisory firms lack transparency. The leading proxy advisors do not publicly disclose how they develop their voting guidelines or the results of any testing to demonstrate that their recommendations are accurate. Institutional investors are influenced by the recommendations of proxy advisory firms. Their influence is most significant in proxy contests, the approval of company-wide equity compensation plans, and executive compensation advisory (“say on pay”) voting. Corporations are influenced by the recommendations of proxy advisory firms. Research generally shows that proxy advisory firms’ influence on the design of company-wide equity compensation plans and say-on-pay voting is harmful to shareholders, but their recommendations for deciding proxy contests (contested director elections involving control of the corporation) are beneficial to shareholders. Proxy advisory firm recommendations may not be in the best interest of shareholders. Proxy advisory firms have no clear fiduciary duty to act in the best interest of the shareholders of institutional investors and may be subject to conflicts of interest. Reform might be necessary. One avenue is by adopting standards to improve proxy advisory firms’ accuracy, transparency, and accountability. Another is to eliminate the requirement that institutional investors vote all items on corporate proxy statements. 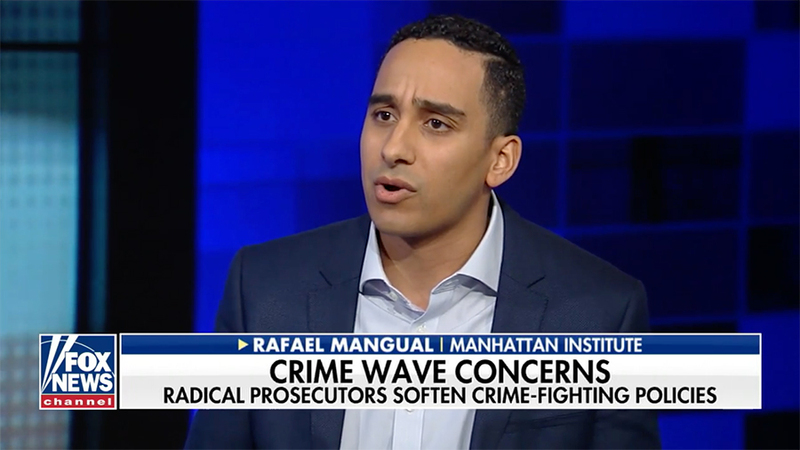 James R. Copland is a senior fellow and director of legal policy at the Manhattan Institute. David F. Larcker is a professor and director of the Corporate Governance Research Initiative at the Stanford Graduate School of Business. Brian Tayan is a researcher with the Corporate Governance Research Initiative at the Stanford Graduate School of Business. In the U. S., most common shareholders receive voting rights that protect their economic interests, alongside common-law fiduciary duties imposed on corporate boards and managers and, for publicly traded corporations, the ability to sell shares in liquid markets. Although there are some exceptions, voting rights in publicly traded companies are typically granted on a “one share, one vote” basis, meaning that an owner of 100 shares receives 100 votes at the annual shareholder meeting, while an owner of 1 million shares receives 1 million votes. Most shareholders exercise these voting rights by proxy, by delegating their votes to other entities that cast ballots in corporate annual meetings. Publicly traded corporations in the United States must distribute proxy statements under rules promulgated by the Securities and Exchange Commission (SEC) under the authority of Section 14(a) of the Securities Exchange Act of 1934. In recent years, market pressure and regulatory changes have increased shareholder voting power. The Dodd-Frank Wall Street Reform and Consumer Protection Act gives shareholders the right to vote on CEO compensation plans. Many companies now require majority voting standards for director elections, replacing decades-old systems relying on plurality voting. And the SEC has worked to limit broker voting on director elections in situations when proxy voting instructions are not received from individual shareholders, implemented in 2009 through New York Stock Exchange Rule 452. These three changes, among others, have influenced the leverage that shareholders in general—and institutional investors and their advisors, in particular—have on corporate elections. Institutional investors dominate shareholder voting, because institutions own approximately 70% of all publicly traded equity shares and because regulatory changes over recent decades have encouraged voting by institutional investors and discouraged voting by individual investors. At the same time, voting requirements place significant burdens on institutional investors. To manage their proxy voting, institutional investors rely heavily on third-party proxy advisory firms. The SEC explicitly allows institutional investors to rely on proxy advisory firms’ voting guidelines to satisfy their fiduciary obligations. The proxy advisory market has come under increasing scrutiny in recent years. Critics of the proxy advisory firm market have included the U.S. Government Accountability Office (GAO), former SEC commissioners, academic researchers, and think-tank scholars. Critics have argued that proxy advisory firms have sizable influence over corporate voting; that this influence extends to corporate decision making; and that these advisory firms lack the incentives, legal requirements, and competence to develop voting recommendations aligned with shareholders’ interests. The SEC has taken notice of concerns about proxy advisory firms. In July 2010, the SEC issued a concept release on the proxy voting system that highlighted concerns about proxy advisory firms. And in June 2014, an SEC staff legal bulletin attempted to clarify rules for institutional investors and proxy advisors. More recently, Congress has begun to consider legislative reforms intended to improve the functioning and transparency of the proxy advisory firm market. In December 2017, the U.S. House of Representatives passed a bill, the Corporate Governance Reform and Transparency Act of 2017 (H.R. 4015), which would impose significant new regulatory requirements on proxy advisory firms. Manhattan Institute research has shown a positive association between ISS recommendations and shareholder voting and a negative relationship between share value and public pension funds’ social-issue shareholder-proposal activism (which is much more likely to be supported by proxy advisory firms than by the median shareholder). This report seeks to inform current reform efforts with a more comprehensive review of the best empirical evidence on proxy advisory firms. Part I summarizes key issues in shareholder voting and discusses evidence of how shareholder votes affect corporate behavior. Part II overviews the proxy advisory firm market, including a discussion of the demand for such firms’ services, the current structure of the industry, and the way in which industry players develop voting guidelines. Part III assesses the evidence on proxy advisory firms’ influence over shareholder voting. 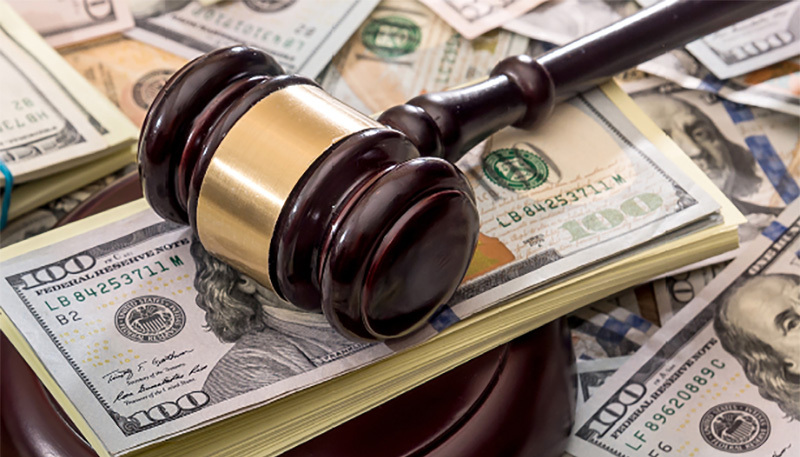 Part IV looks at the research about proxy advisory firms’ influence on corporate governance and compensation issues, including whether such influence helps or harms shareholder value. Part V briefly examines other issues that have been raised about proxy advisory firms, issues about which there is sparse empirical evidence. Part VI looks at regulatory efforts, with a specific focus on H.R. 4015. Part VII summarizes research findings and suggests guidelines for reform. Institutional investors and other diversified shareholders face a broad array of votes during corporate America’s “proxy season”—the period between mid-April and mid-June, when most large publicly traded corporations hold annual meetings. According to a 2010 report by the Investment Company Institute, Russell 3000 companies faced more than 20,000 proxy ballot items annually—even before Dodd-Frank required executive compensation advisory voting by shareholders. Some matters that require shareholder approval are usually mundane, such as the routine approval of the board of directors, ratification of the external auditor, and changes to certain bylaw provisions. In addition to proxy ballot items placed before shareholders by the board of directors, shareholders of publicly traded companies can themselves introduce proposals for a shareholder vote under SEC Rule 14a-8. Such rules are rather lenient: currently, any stockholders owning shares valued at $2,000 or more for at least one year may introduce a shareholder proposal. Shareholder proposals are generally opposed by the board of directors, rarely receive majority shareholder support, and are anyway generally precatory (nonbinding). Contested Director Elections. In some cases, an activist investor attempting to change the direction or to seize control of a company will nominate its own slate of directors as an alternative to the company’s proposed slate. Shareholders will determine which set of directors controls the company, with the potential for very different strategic and economic outcomes. Approval of a Major Acquisition or Sale. Takeover offers and certain acquisitions require shareholder approval. Investors will need to determine whether acceptance of a deal is in their financial best interest. Approval of Employee Equity Programs. Companies cannot issue employee equity awards, such as restricted shares or stock options, without first gaining shareholder approval to establish an equity program, because these programs dilute the ownership interest of current investors. The structure of these plans can be complicated, but they nevertheless provide important incentives to employees and executives. Shareholder approval or rejection of these plans will have ramifications for employee motivation, workplace culture, strategy, and risk taking. Advisory Approval of CEO Pay. As mentioned above, the Dodd-Frank Act of 2010 gave shareholders an advisory vote on the compensation plans offered to named executive officers, including the CEO (“say on pay”). While the results of this vote are nonbinding, they send an important signal about shareholder satisfaction with CEO pay and performance. Proxy voting serves as an important vehicle for shareholders to communicate their preferences to the board. While companies do not always take action in response to shareholder votes—particularly when the vote is advisory rather than binding—research suggests that corporate directors pay attention to voting outcomes and, in many cases, incorporate the results of the vote in their future decisions. This is particularly the case when shareholders register a strong “protest vote”—a material vote in opposition to a proposed action. Fischer et al. (2009) study the impact of protest votes in director elections. They find that a typical board nominee running unopposed receives 94% support. However, when a director receives significantly lower support (80% or less), companies are highly likely to take responsive action. Protest votes against directors are associated with higher board turnover, higher management turnover, and increased corporate activity (such as a major asset sale or acquisition) in the year following the vote. There is some evidence that shareholder voting influences the design of compensation programs. Martin and Thomas (2005) find that when shareholders protest against executive-only stock option plans, directors respond by reducing executives’ future salary. Similarly, Ferri and Maber (2013) study the impact of sayon-pay executive compensation advisory voting and find that companies that receive low levels of shareholder support are more likely to amend their executive compensation plans in response. However, research in this area is not conclusive. Armstrong, Gow, and Larcker (2013) find that shareholder protest votes against equity pay plans have little impact on future compensation. Finally, the research shows that activist investors use the shareholder voting process to influence corporate policies. Klein and Zur (2009) study a sample of 151 hedge funds between 2003 and 2005. They find that hedge funds have a 60% success rate in using their ownership position (including the threat of proxy contests) to meet their stated objectives. These include gaining board representation, replacing the CEO, increasing cash distributions (such as dividends or stock buybacks) to owners, altering strategy, terminating pending acquisitions, or agreeing to a proposed merger. These findings indicate that shareholder voting is an effective means of shaping corporate policy. Shareholder voting is dominated by institutional investors. A 2017 report by Broadridge and PricewaterhouseCoopers shows that institutional investors—such as mutual funds, index funds, pensions, and hedge funds—own 70% of the outstanding shares of publicly traded corporations in the United States. Thus, “retail” (individual) investors own only 30%. Furthermore, institutional investors have significantly higher voting participation rates, casting votes that represent 91% of the shares that they hold, compared with only 29% for retail investors. The combination of these factors gives institutional investors a disproportionately large influence over voting outcomes. Prior to the 1980s, institutional investors generally paid little attention to shareholder voting matters, but the wave of hostile takeover actions in that decade forced them to take at least occasional notice. Some institutional investors’ broader need to assess shareholder voting issues, including proxy proposals, took on added significance in the late 1980s, when the U.S. Department of Labor required retirement benefit funds governed by the Employee Retirement Income Security Act (ERISA) to vote their shares according to a “prudent man” standard. In 2003, the SEC clarified that similar fiduciary duties attach to mutual funds and other registered investment companies. And new stock-voting rules for individual investors effectively made them less likely to exercise their voting rights: in 2009, the SEC approved amendments to the New York Stock Exchange (NYSE) rules that eliminated stockbrokers’ ability to vote discretionarily the shares of their individual investors for director elections; and in 2012, the NYSE applied the limitation to a broader array of issues. Economic Demand for Proxy Advisory Firms. The proxy voting process is costly and requires significant time, expertise, and personnel. While large institutional investors—such as BlackRock and the American Funds—can dedicate significant resources to developing proprietary proxy voting guidelines and researching company-specific issues, most small and midsize funds lack the resources to conduct these activities. Third-party proxy advisory companies lower the research costs that smaller funds would have to bear. Regulatory Demand for Proxy Advisory Firms. In 2003, the SEC began to require that registered institutional investors (including mutual funds and index funds) develop and disclose their proxy voting policies, as well as disclose their votes on all proxy items. The rule was intended to create greater transparency into the voting process and ensure that institutional investors act without conflict of interest. Furthermore, the SEC clarified that institutional investors could satisfy this obligation by relying on voting policies developed by an independent, third-party agency—such as a proxy advisor. The use of a proxy advisory firm has become a cost-effective means of satisfying institutional investors’ fiduciary and regulatory voting obligations. Institutional Shareholder Services (ISS) is the largest proxy advisory firm in the U.S. and globally. Founded in 1985, ISS is based in Rockville, Maryland, and maintains offices in 13 countries. The firm employs approximately 1,000 individuals, serves 1,700 institutional clients, and provides proxy recommendations on 40,000 shareholder meetings in 117 countries. It is owned by Genstar, a private equity firm. Glass, Lewis & Co. is the second-largest proxy advisory firm in the U.S. and globally. Founded in 2003, the company is headquartered in San Francisco, employs 1,200 people, and provides voting recommendations on 20,000 shareholder meetings in 100 countries. Glass Lewis is jointly owned by two Canadian pension funds: Ontario Teachers’ Pension Plan and Alberta Investment Management Corporation. Egan-Jones Proxy Services was founded in 2002 and is based in Haverford, Pennsylvania. The company is a subsidiary of the Egan-Jones Ratings Company, a credit-rating agency. It does not disclose the number of clients it serves or the number of meetings it covers. Segal Marco Advisors was formed in 2017 by the merger of Segal Rogerscasey and Marco Consulting Group. Based in New York City, the organization is an investment-consulting firm that provides proxy advisory services, with an emphasis on labor-union multiemployer pension plans. It has 600 clients. ProxyVote Plus was established in 2002. Based in Northbrook, Illinois, it provides proxy voting services to 150 clients. Proxy advisory firms also exist that specialize in nonU.S. markets. Examples include Pensions & Investments Research Consultants (U.K.), Manifest (U.K.), Proxyinvest (France), GES Investment Services (Sweden), Nordic Investor Services (Sweden), and Institutional Investor Advisory Services (India). Glass Lewis claims that its clients collectively manage $35 trillion in assets. ISS does not disclose client asset size but discloses that its clients vote on 8.5 million ballots representing 3.8 trillion shares. Researchers at George Mason University estimate that these two firms together have a 97% share of the market for proxy advisory services. Given the reach and market share of ISS and Glass Lewis, it is important that shareholders know that their voting guidelines and recommendations are accurate. Accurate recommendations are those that successfully differentiate between good and bad future outcomes and are aligned with shareholder interests to maximize long-term value. 1. Survey. ISS conducts a survey of institutional investors and corporate issuers, asking their preferences on selected policy positions. In 2017, it received responses from 121 investors and 382 corporate issuers. 2. Roundtable. Roundtable discussions with a subset of investors and issuers discuss ways to enhance the firm’s policy guidelines. In 2016, ISS conducted three roundtables in the U.S.
3. Comment Period. ISS posts draft recommendations and solicits feedback from stakeholders. 4. Final Guidelines. The firm releases final policy guidelines for the subsequent proxy season. Some researchers have questioned the rigor and objectivity of the ISS policy development process. Larcker, McCall, and Tayan (2013) argue that the ISS data collection process relies on too few participants and that the composition of the respondent pool is not well disclosed. They identify survey design errors that are “likely to confuse and/or bias respondents.” They also question the extent to which final policy guidelines are based on the extensive body of peer-reviewed, independent third-party research on governance. It would seem that ISS has room either to improve the rigor and objectivity of its policy development process or to increase transparency about the steps it takes to review and incorporate evidence and feedback to demonstrate its rigor and objectivity. Glass Lewis does not disclose the process for updating its policy guidelines. A 2018 proxy update report from Glass Lewis simply states: “Glass Lewis evaluates these guidelines on an ongoing basis and formally updates them on an annual basis.” According to GAO, “Glass Lewis officials said that they work with an independent advisory council that provides guidance in the development and updating of its voting policies.”46 The proxy firm also solicits user feedback through an online form on its website. Beyond this, the process by which Glass Lewis formulates and revises policy guidelines is not disclosed. The most important issue is whether the research that proxy advisory firms undertake is effective in identifying firms with governance problems. Neither ISS nor Glass Lewis discloses whether their voting guidelines or historical voting recommendations have been tested to ensure that they are associated with positive future corporate performance, in terms of operating results or stock price returns. This is a notable omission because it is standard procedure for research firms to apply back-testing to validate the assumptions in their models. Without this evidence, it is difficult to know whether their voting guidelines are consistent with increased shareholder or stakeholder value. Considerable evidence shows that proxy advisory firms influence proxy voting outcomes. Nevertheless, there is disagreement about the degree to which they influence these outcomes. [A]ssessing the actual influence of ISS has been difficult because of the omitted variable problem: the same unobservable firm and management characteristics that lead ISS to give a negative recommendation can also lead shareholders to withdraw their support for the proposal, leading to an upward bias in the estimates of the ISS effect. . . . This issue has been widely recognized in the academic literature and by many industry participants and has been discussed at the SEC roundtable on proxy advisors in December 2013. Prior literature concludes that ISS recommendations move at least some fraction of the votes, but whether this fraction is large or small remains unclear. Some institutional data support this conclusion. Through survey reports, institutional investors state that they refer to the voting recommendations of proxy advisory firms but also that these recommendations have little influence over their actual voting practices. According to a survey by Rivel (2016), only 7% of institutional investors say that proxy advisory firms are the “most influential” contributors to their policies. Instead, they state that generally established best practices are the primary source of their voting policies and decisions. McCahery, Sautner, and Starks (2016) reach similar conclusions. Using a sample of 143 institutional investors, they find that just over half (55%) agree or strongly agree that proxy advisory firms help them make more informed voting decisions. However, the authors conclude that institutional investors rely on the advice of proxy advisors to complement their decision making, rather than rely on them exclusively to substitute for making their own decisions. Institutional voting data, however, suggest that proxy advisors have a significant influence on voting behavior, contradicting investors’ self-assessment of their reliance on these firms. An extensive sample of the voting record of 713 institutional investors in 2017, compiled for this report by the shareholder-voting data firm Proxy Insight, shows that institutional investors are significantly likely to vote in accordance with proxy advisor recommendations across a broad spectrum of governance issues. For example, 95% of institutional investors vote in favor of a company’s say-on-pay proposal when ISS recommends a favorable vote, while only 68% vote in favor when ISS is opposed (Figure 1). Similarly, when ISS recommends a favorable vote, equity plan proposals receive 17% more votes in favor and uncontested director elections receive 18% more votes in favor. Proxy contests receive 73% more votes in favor when ISS also supports the measure. Glass Lewis also has influence over voting outcomes: its recommendations of favorable votes are associated with 16%, 12%, and 64% increases in institutional investor support for say on pay, equity plan, and proxy contest ballot measures. Furthermore, voting data show that several large institutional investors often vote in near-total alignment with proxy advisory firm recommendations (Figure 2). The Proxy Insight data suggest that while some institutional investors might use proxy advisory recommendations to complement the information they collect to arrive at voting decisions, others rely to a very large extent on the voting recommendations of these firms as a substitute for their proprietary decision making. And these are among the largest institutional investors in the market; smaller funds with fewer resources to develop proprietary voting guidelines (which give them no competitive advantage in fund performance) are more likely to rely on proxy advisory firms’ recommendations. In fact, a number of small funds might be considered auto- or robo-voters because they sometime explicitly state in their voting policies that they follow the recommendations of proxy advisors. A survey of 64 asset managers and owners with a combined $17 trillion in assets supports this claim. That survey, sponsored by RR Donnelley, Equilar, and the Rock Center for Corporate Governance at Stanford University, finds that portfolio managers are only moderately involved in voting decisions. While 68% of funds report that portfolio managers play a role in establishing the proxy voting guidelines at their firms and 67% are involved in voting specific proxy items, their actual engagement is quite low. Among large institutional investors with assets under management greater than $100 billion, portfolio managers are involved in only 10% of voting decisions. This demonstrates that the individuals within investment firms that have the most detailed knowledge of specific companies are not very involved with proxy voting decisions. The evidence suggests that proxy advisors have a material, if unspecified, influence over institutional voting behavior and therefore also voting outcomes. An against recommendation is associated with a reduction in the favorable vote count by 15%–30%. Empirical studies have also sought to examine the extent to which proxy advisory firm recommendations influence corporate choices. This is a different question from their influence on institutional investors’ voting patterns. The latter question seeks to measure how heavily funds rely on proxy advisory recommendations when casting votes; the former seeks to measure the degree to which companies make governance decisions—pay structure, board structure, the adoption of antitakeover defenses, etc.—explicitly with the voting guidelines of proxy advisory firms in mind and in order to win their approval. Here, the evidence suggests that proxy advisors have significant influence over corporate choices, particularly compensation choices. 24% reduce or eliminate certain severance benefits. 13% adopt stock ownership guidelines or retention guidelines. 9% introduce performance-based equity awards (as opposed to straight equity grants). Larcker, McCall, and Ormazabal (2015) examine the influence of proxy advisor guidelines on executive pay design. Specifically, they look at changes made to compensation programs in the first year that “say on pay” took effect. They find that a substantial number of firms change their compensation design to be more consistent with the published guidelines of ISS and Glass Lewis “in an effort to avoid negative voting recommendations” by these firms. The evidence therefore suggests that proxy advisory firm guidelines not only affect the voting behavior of institutional investors but also the governance decisions that companies make, particularly regarding compensation. As the data in Figure 1 suggest, the influence of ISS and Glass Lewis is not uniform and instead appears to vary, depending on the matter put before shareholders. Bethel and Gillan (2002) study the impact of ISS recommendations on proxy voting across governance issues. Using a sample of more than 1,300 companies in the S&P 1500 Index, they find that an unfavorable recommendation from ISS is associated with 13.6%– 20.6% fewer affirmative votes for management proposals, depending on the type of proposal. They include in their analysis proposals about compensation, antitakeover protections, mergers, and other bylaw-related items but do not disclose the details. The research generally shows that proxy advisory firms have a modest influence on uncontested director elections. Cai, Garner, and Walkling (2009) study the impact of ISS recommendations on director elections. They use a sample of more than 13,300 uncontested director elections (i.e., they exclude proxy contests) between 2003 and 2005. They find that directors who do not receive a positive recommendation from ISS receive 19% fewer shareholder votes (77% versus 96%). They do not estimate how much of this reduction is due to the impact of ISS’s recommendation versus overall poor performance by the director or company that might lead to a negative ISS recommendation. Choi, Fisch, and Kahan (2010) also study the impact of proxy advisory firm recommendations on uncontested director elections. As noted earlier, they attempt to control for external factors (such as director attendance or company performance) that might trigger a negative recommendation. In doing so, they aim to isolate the influence of proxy firm recommendations by excluding factors that might confound the results. Before controlling for these factors, they find that a negative recommendation from ISS is associated with a 20.3% reduction in “for” votes; a negative recommendation from Glass Lewis with a 6.2% drop; and a negative recommendation from Egan-Jones with a 4.7% drop. However, when controlling for governance factors, the ISS influence is much less. They estimate that a negative recommendation from ISS is associated with a 6%–13% reduction in shareholder support. They find similar reductions to the influence of the other proxy advisor recommendations. Research generally shows that proxy advisors have a moderate to large impact on shareholder votes approving executive compensation packages. It also shows that they have a significant influence on pay design and that this influence is harmful to shareholders. Research shows that the influence that proxy advisory firms have on equity compensation plans is similar to their influence on a number of other corporate issues. Fiduciary Duty. Proxy advisory firms are not held to a fiduciary standard that would require them to demonstrate that their recommendations are in the best interest of shareholders and the corporation— or, at least, no such standard that has been clearly articulated in rules or regulations or litigated in a court of law. This absence of fiduciary duties is salient, given the evidence that at least some institutional investors use proxy advisory firms as a lowest-cost option to meet their own fiduciary voting obligations, without regard to voting accuracy. Conflicts of Interest. Some proxy advisory firms, such as ISS, receive consulting fees from the same companies whose governance practices they evaluate. The terms of these arrangements are not disclosed, including whether paid clients are given special access to information about the models underlying the firm’s recommendations. Resource Constraints. Proxy advisory firms might have insufficient staff to accurately evaluate the full scale of proxy items on which they provide recommendations each year. ISS, which is the largest firm, employs 1,000 individuals company-wide including non-research (administrative) personnel. By contrast, Moody’s Corporation, which includes the agency that rates credit instruments worldwide, employs 11,700 individuals. Small proxy advisory firms are likely even more resource-constrained. July 2010. The SEC issued a concept release on the U.S. proxy system. The report summarized concerns about proxy advisory firms’ conflicts of interest, accuracy, and transparency. The report requested comments on potential solutions. December 2013. The SEC held a proxy advisory firm roundtable. Participants discussed issues facing the industry, including the use of proxy advisory firms. June 2014. The SEC issued a staff legal bulletin that provided guidance on the responsibilities that investment advisors have in voting proxies and hiring proxy advisory firms. The guidance sought to address concerns over conflicts of interest, but it largely omitted questions of accuracy. January 2015. To follow up on its legal bulletin, the SEC began to look more carefully at how investment advisors and investment companies that retain the services of proxy advisory firms use these firms’ services, through the agency’s examinations of those advisors and companies. Register with the SEC under the Securities and Exchange Act of 1934. Designate an ombudsman to receive complaints about the accuracy of information used in making recommendations. This bill has not been introduced in the Senate. The research literature shows mixed evidence on the degree to which proxy advisory firms influence firm voting, as well as the impact that their policies and recommendations have on corporate behavior and shareholder returns. For the most part, proxy advisory firms’ influence on voting is shown to be—at a minimum— moderate. In most cases, proxy advisory firms’ influence on corporate behavior and shareholder value are shown to be negative. Nevertheless, conflicting evidence exists: at least in the case of proxy contests and other shareholder votes implicating a potential change of corporate control, proxy advisory firms appear to have a substantial impact on shareholder voting behavior that positively affects shareholder value. The conflicting evidence is not irreconcilable. It might be that proxy advisory firms customize their standards and use research teams with greater expertise when evaluating complex issues such as proxy contests and mergers and acquisitions. When it comes to general issues common to the broad universe of companies— such as compensation design and uncontested director elections—resource and time constraints might compel proxy advisory firms to employ more rigid and therefore arbitrary standards that are less accommodating to situational information that is unique to specific companies’ situation, industry, size, or stage of growth. Regulation of the proxy advisory industry might be necessary. The dominance of ISS and Glass Lewis, despite evidence that their recommendations are inaccurate and potentially value-destroying to shareholders, suggests a market failure. In a properly functioning market, companies with a poor service record are driven from the market. Proxy advisory firms, however, are insulated from these forces. The reason for this market failure is that institutional investors generally receive little competitive advantage from being better or more informed voters regarding corporate governance. Because inaccurate voting from a single institutional investor only very rarely affects the risk and return of the investor’s portfolio even marginally, there is little incentive to invest more resources in proxy advice. ISS is the dominant proxy advisory firm but is a relatively small operation: as reported by MSCI, the publicly traded company that owned ISS before its 2014 acquisition by the private equity firm Vestar, it had just over $15 million in profits on $122 million in revenues. Thus, the evidence suggests that institutional investors largely use proxy advisory firms’ services as a cost-effective method to satisfy their legal obligation to develop shareholder voting guidelines that are free from conflict and to vote all items on the proxy. They do not appear to use their services to improve investment decisions. And even if proxy advisory firms are wrong, funds will continue to use their services. Increase regulatory standards. Congress and the SEC could take steps to compel proxy advisory firms to improve the quality of their product, increase transparency, and reduce conflicts of interest. Reduce regulatory demand for services. Congress or the SEC could eliminate the requirement that institutional investors vote all items on the proxy. This action would free investors to decide whether to pay for the voting recommendations of proxy advisory firms based on an evaluation of their price and value. Maintaining adequate resources. Legislation or regulation could set minimal standards for proxy advisory firms’ staffing models to ensure that recommendations are based on accurate and current information. Improving reliability. Proxy advisory firms could be required to develop and disclose procedures for corporate issuers to comment on, respond to, or object to draft recommendations before they are made final. Facilitating independent third-party review. Many researchers can provide insights into methods and models. Posting old data files to be analyzed by outside reviewers is a cost-effective way for proxy advisors to improve their services. Clearly, bond-rating agencies and other organizations engage in this type of activity and have benefited from independent reviews. Process disclosure. Proxy advisory firms could be required to disclose the processes by which they develop their proprietary guidelines. Voting disclosure. Proxy advisory firms could be required to freely publish their general vote recommendations after the proxy season has ended. Model disclosure. Proxy advisory firms could be required to disclose the details of their models to allow third-party researchers to test the accuracy of their recommendations. Conflict disclosure. Proxy advisory firms could be required to disclose issuers with which they retain a commercial relationship. These data would enable research on whether consulting agreements affect the quality of proxy advisor recommendations. Institutional disclosure. Institutional investors could be required to disclose the extent to which they rely on the recommendations of proxy advisory firms—in particular, whether they are auto- or robo-voters. Fiduciary standards. Congress or the SEC could impose an explicit fiduciary duty standard on proxy advisory firms. Reliability testing. Proxy advisory firms could be required to demonstrate the reliability of the processes they develop. Feedback mechanisms. Proxy advisory firms could be required to develop and disclose mechanisms for incorporating market participants’ input to update and improve the accuracy of their recommendations and to disclose the rationale for not incorporating various ideas from market participants into their process and procedures. In considering these regulatory approaches, policymakers should consider their impact on proxy advisory firms’ proprietary business models and market entry. But given the evidence—an industry dominated by two firms and low revenues relative to overall stock market impact—the potential that regulatory requirements may create new barriers to entry is less salient than it might be in the ordinary case. U.S. House bill H.R. 4015 would, at least in part, comport with several of these suggested policy reforms. The Senate should consider this legislation and amend it in light of these findings. In the alternative, the SEC could take many of these regulatory steps without congressional action. See Pub. L. No. 111-203, 124 Stat. 1376, § 951 (2010). See SEC Rel. No. 34-60215 (2009). See U.S. Government Accountability Office (GAO), “Corporate Shareholder Meetings: Proxy Advisory Firms’ Role in Voting and Corporate Governance Practices,” GAO-17-47, Nov. 15, 2016. See, e.g., Nicholas Donatiello and Harvey L. Pitt, “Protecting Shareholders from Activist Proxies,” Wall Street Journal, May 28, 2015. See, e.g., David F. Larcker, Allan L. McCall, and Brian Tayan, “And Then a Miracle Happens! 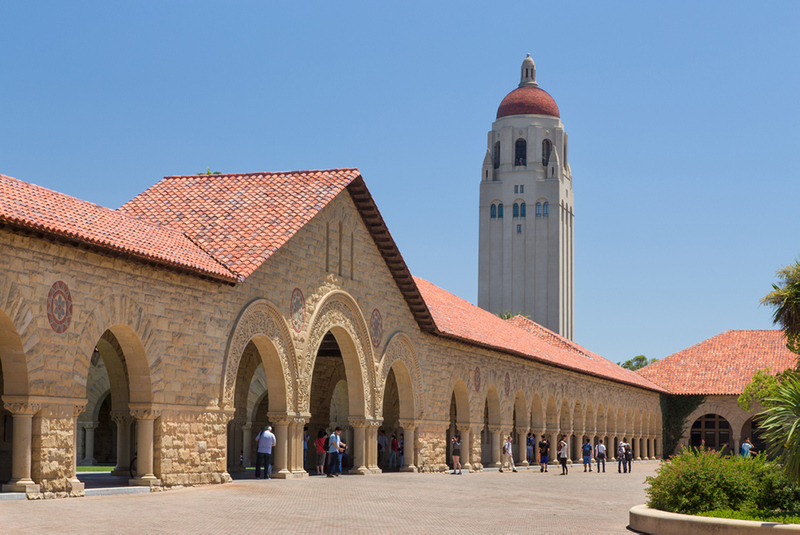 : How Do Proxy Advisory Firms Develop Their Voting Recommendations?” Stanford Closer Look Series, Stanford University Graduate School of Business (Feb. 25, 2013). See, e.g., James R. Copland, “Politicized Proxy Advisers vs. Individual Investors,” Wall Street Journal, Oct. 7, 2012. SEC, Staff Leg. Bull. No. 20, “Proxy Voting: Proxy Voting Responsibilities of Investment Advisers and Availability of Exemptions from the Proxy Rules for Proxy Advisory Firms,” June 30, 2014. H.R. 4015: Corporate Governance Reform and Transparency Act of 2017. See James R. Copland with Yevgeniy Feyman and Margaret O’Keefe, “Proxy Monitor 2012: A Report on Corporate Governance and Shareholder Activism,” Manhattan Institute, Fall 2012, pp. 22–23. See Tracie Woidtke, “Public Pension Fund Activism and Firm Value,” Manhattan Institute Legal Policy Report No. 20, September 2015. See Investment Company Institute, “Trends in Proxy Voting by Registered Investment Companies, 2007–09,” Research Perspective 16, no. 1 (November 2010). Under the Dodd-Frank Wall Street Reform and Consumer Protection Act of 2010, publicly traded companies must hold shareholder advisory votes on executive compensation annually, biennially, or triennially, at shareholders’ discretion. See Pub. L. No. 111-203, 124 Stat. 1376, § 951 (2010). See 17 C.F.R. § 240.14a-8 (2007) [hereinafter 14a-8]. See, generally, James R. Copland and Margaret M. O’Keefe, “Proxy Monitor 2017: Season Review,” Manhattan Institute, Fall 2017. Although shareholder proposals usually do not receive majority support, certain classes of proposals—including those seeking “proxy access” for shareholder board nominees and those seeking to eliminate staggered board terms and elect all directors annually—are exceptions to the general rule and have typically received majority shareholder support. 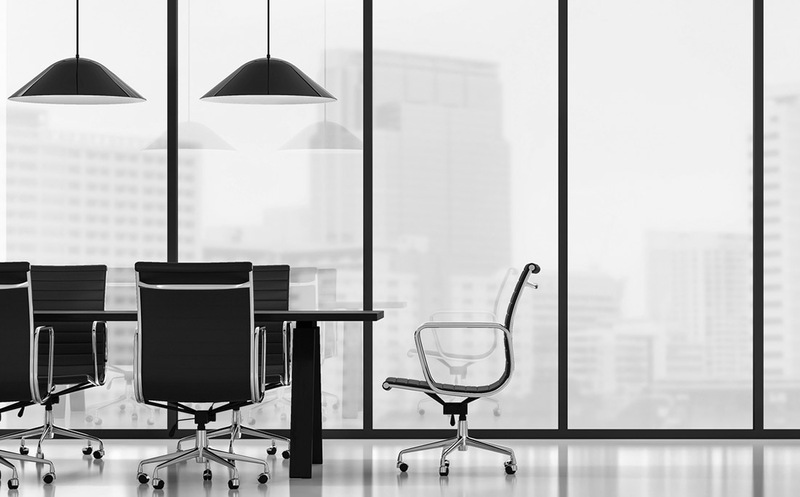 Although shareholder proposals are typically precatory, directors are nevertheless under significant pressure to respond to precatory proposals that receive majority shareholder votes. ISS, for instance, considers withholding support for directors if boards have been “nonresponsive” to shareholder proposals receiving majority support, even in a single year. See ISS, “United States Proxy Voting Guidelines: Benchmark Policy Recommendations,” Jan. 4, 2018, p. 9. In the view of ISS, responsiveness to a shareholder proposal “will generally mean either full implementation of the proposal or, if the matter requires a vote by shareholders, a management proposal on the next annual ballot to implement the proposal.” Moreover, in determining “majority” support, ISS excludes abstention votes, even if they are required to be included by company bylaws—thus putting pressure on boards to enact shareholder proposals that technically receive less than majority shareholder support. See ISS, “U.S. Proxy Voting Research Procedures & Policies,” Jan. 4, 2018, p. 18. In recent years, many companies have adopted proxy access rules more liberally, allowing investors to nominate directors on companies’ own proxy ballots. It is too soon to assess empirically how these rules might operate in practice, in comparison with more traditional contested elections. David Yermack, “Shareholder Voting and Corporate Governance,” Annual Review of Financial Economics 2 (2010): 103–25. Paul E. Fischer et al., “Investor Perceptions of Board Performance: Evidence from Uncontested Director Elections,” Journal of Accounting and Economics 48, nos. 2–3 (December 2009): 172–89. Kenneth J. Martin and Randall S. Thomas, “When Is Enough, Enough? Market Reaction to Highly Dilutive Stock Option Plans and the Subsequent Impact on CEO Compensation,” Journal of Corporate Finance 11, nos. 1–2 (March 2005): 61–83. Fabrizio Ferri and David A. Maber, “Say on Pay Votes and CEO Compensation: Evidence from the UK,” Review of Finance 17, no. 2 (April 2013): 527–63. Christopher S. Armstrong, Ian D. Gow, and David F. Larcker, “The Efficacy of Shareholder Voting: Evidence from Equity Compensation Plans,” Journal of Accounting Research 51, no. 5 (December 2013): 909–50. April Klein and Emanuel Zur, “Entrepreneurial Shareholder Activism: Hedge Funds and Other Private Investors,” Journal of Finance 64, no. 1 (January 2009): 187–229. Broadridge and PricewaterhouseCoopers, “Proxy Pulse: 2017 Proxy Season Review,” September 2017. See Letter from U.S. Department of Labor to Helmuth Fandl, chairman of Retirement Board, Avon Products, Inc. (Feb. 23, 1988); see also 73 Fed. Reg. 61731 (Oct. 17, 2008). See 68 Fed. Reg. 6585 (Feb. 7, 2003) (“The duty of care requires an adviser with proxy voting authority to monitor corporate events and to vote the proxies. To satisfy its duty of loyalty, the adviser must cast the proxy votes in a manner consistent with the best interest of its client and must not subrogate client interests to its own” (internal citations omitted)). See SEC Rel. No. 34-60215. See NYSE, Information Memo No. 12-4, Application of Rule 452 to Certain Types of Corporate Governance Proposals (Jan. 25, 2012). SEC, “Disclosure of Proxy Voting Policies and Proxy Voting Records by Registered Management Investment Companies,” 17 C.F.R., pts. 239, 249, 270, 274 (2003). ISS has also participated in an industry that assigns governance ratings to individual companies, analogous to the practice of credit-rating agencies assigning ratings to reflect the creditworthiness of individual companies. This industry has not gained wide reception in the market. For an early study on the governance ratings industry, see Robert Daines, Ian D. Gow, and David F. Larcker, “Rating the Ratings: How Good Are Commercial Governance Ratings?” Journal of Financial Economics 98, no. 3 (December 2010): 439–61. ProxyVote Plus, “About ProxyVote Plus,” 2013. James K. Glassman and Hester Peirce, “How Proxy Advisory Services Became So Powerful,” Mercatus on Policy Series, Mercatus Center at George Mason University, June 18, 2014. ISS, “2017–18 ISS Global Policy Survey Summary of Results,” Sept. 25, 2017. ISS, “Executive Summary of 2016 Proxy Voting Guidelines Updates,” Nov. 10, 2015. Glass Lewis, “Guidelines: An Overview of the Glass Lewis Approach to Proxy Advice,” 2018. Nadya Malenko and Yao Shen, “The Role of Proxy Advisory Firms: Evidence from a Regression-Discontinuity Design,” Review of Financial Studies 29, no. 12 (December 2016): 3394–3427. Proxy Governance is now part of Glass Lewis. Stephen Choi, Jill Fisch, and Marcel Kahan, “The Power of Proxy Advisors: Myth or Reality?” Emory Law Journal 59, no. 4 (March 2010): 869–918 . Rivel Research Group, “Proxy Voting Protocols: Attitudes and Practices of North American Proxy Voters,” Corporate Governance Intelligence Council, February 2016 (proprietary research on file with authors, available through Rivel). Joseph A. McCahery, Zacharias Sautner, and Laura T. Starks, “Behind the Scenes: The Corporate Governance Preferences of Institutional Investors,” Journal of Finance 71, no. 6 (December 2016): 2905–32. Data and proprietary calculations made by Proxy Insight, for this report, are on file with the authors. See Donald F. Larcker (Stanford University), Brian Tayan (Stanford University), Ronald Schneider (RR Donnelley), and Aaron Boyd (Equilar), “2015 Investor Survey: Deconstructing Proxies—What Matters to Investors,” February 2015. Leo E. Strine, Jr., “The Delaware Way: How We Do Corporate Law and Some of the New Challenges We (and Europe) Face,” Delaware Journal of Corporate Law 30, no. 3 (2005): 673–96. Daniel M. Gallagher, “Gallagher on the Roles of State and Federal Law in Corporate Governance,” Columbia Law School’s Blog on Corporations and the Capital Markets, June 18, 2013. In addition to the academic studies cited in this section of the report, James R. Copland coauthored a 2012 study assessing ISS recommendations’ influence over shareholder voting behavior in the context of precatory shareholder proposals filed under SEC Rule 14a–8 and executive compensation advisory votes. See James R. Copland with Yevgeniy Feyman and Margaret O’Keefe, “Proxy Monitor 2012: A Report on Corporate Governance and Shareholder Activism,” Manhattan Institute for Policy Research, Fall 2012. The authors’ econometric model found a 15% association between ISS recommendations and shareholder-proposal voting and a 17.5% association between ISS recommendations and say-on-pay voting, each with a high level of statistical significance. Note that the issue of proxy advisory firm influence over corporate decisions is predicated on the board of director and management belief that these firms influence institutional investor voting decisions. If proxy advisory firms had no influence over voting, they likely would also have no influence over corporate choices. David F. Larcker, Allan L. McCall, and Brian Tayan, “The Influence of Proxy Advisory Firm Voting Recommendations on Say-on-Pay Votes and Executive Compensation Decisions,” Directors Note No. DN-V4N5, the Conference Board, March 2012. David F. Larcker, Allan L. McCall, and Gaizka Ormazabal, “Outsourcing Shareholder Voting to Proxy Advisory Firms,” Journal of Law and Economics 58, no. 1 (February 2015): 173–204. The cost to access ISS equity plan models is $23,500–$29,500, according to its proxy filing disclosure, depending on the size of the company. Firms are prohibited by the terms of the contract with ISS from disclosing to shareholders that they used ISS models to determine their plan design. 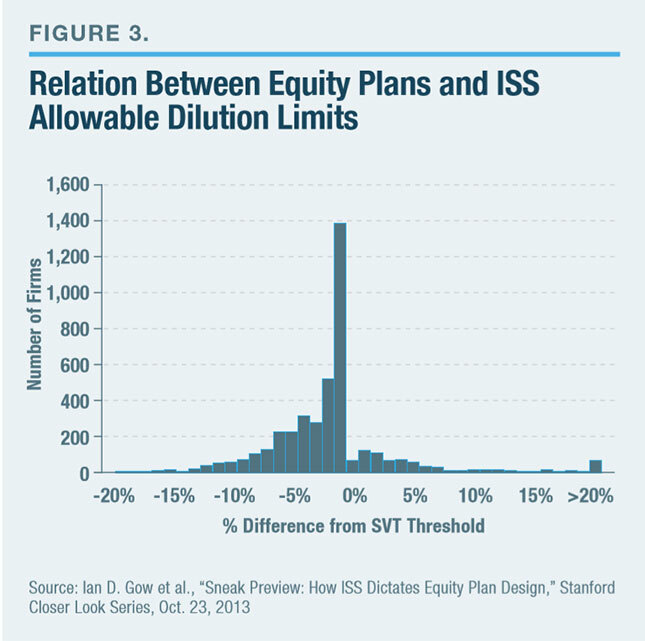 See Ian D. Gow et al., “Sneak Preview: How ISS Dictates Equity Plan Design,” Stanford Closer Look Series, Oct. 23, 2013. Jennifer E. Bethel and Stuart L. Gillan, “The Impact of the Institutional and Regulatory Environment on Shareholder Voting,” Financial Management 31, no. 4 (Winter 2002): 29–54. Jie Cai, Jacqueline L. Garner, and Ralph A. Walkling, “Electing Directors,” Journal of Finance 64, no. 5 (October 2009): 2389–2421. Yonca Ertimur, Fabrizio Ferri, and David Oesch, “Shareholder Votes and Proxy Advisors: Evidence from Say on Pay,” Journal of Accounting Research 51, no. 5 (December 2013): 951–96. Angela Morgan, Annette Poulsen, and Jack Wolf, “The Evolution of Shareholder Voting for Executive Compensation Schemes,” Journal of Corporate Finance 12, no. 4 (September 2006): 715–37. David F. Larcker, Allan L. McCall, and Gaizka Ormazabal, “Proxy Advisory Firms and Stock Option Repricing,” Journal of Accounting and Economics 56, nos. 2–3 (November–December 2013): 149–69. Cindy R. Alexander et al., “Interim News and the Role of Proxy Voting Advice,” Review of Financial Studies 23, no. 12 (December 2010): 4419–54. Tao Li, “Outsourcing Corporate Governance: Conflicts of Interest Within the Proxy Advisory Industry,” Management Science (forthcoming) (published online Dec. 16, 2016). As summarized by National Investor Relations Institute (NIRI), “U.S. House Approves Proxy Advisor Reform Bill,” Executive Alert, Dec. 21, 2017. Scott S. Winter, “Trends in Shareholder Voting: The Impact of Proxy Advisory Firms,” American Bar Association Corporate Governance Committee, Oct. 12, 2010. Gaizka Ormazabal, “The Role of Stakeholders in Corporate Governance: A View from Accounting Research,” Foundations and Trends in Accounting 11, no. 4 (February 2018): 193–290. For a more general look at voter ignorance problems, see Ilya Somin, Democracy and Political Ignorance: Why Smaller Government Is Smarter (Palo Alto, Calif.: Stanford University Press, 2013); Bryan Caplan, The Myth of the Rational Voter: Why Democracies Choose Bad Policies (Princeton, N.J.: Princeton University Press, 2008). See MSCI, 2013 Annual Report, pp. 70–71.